Some food and wine experiences stay with you as wonderful memories, the taste of a particular wine or dish can transport you to a time or place that send you daydreaming, fondly recalling the aromas and flavors you enjoyed long ago. For me, the best are composed of not only the food and wine but the stories shared by the people associated with them. 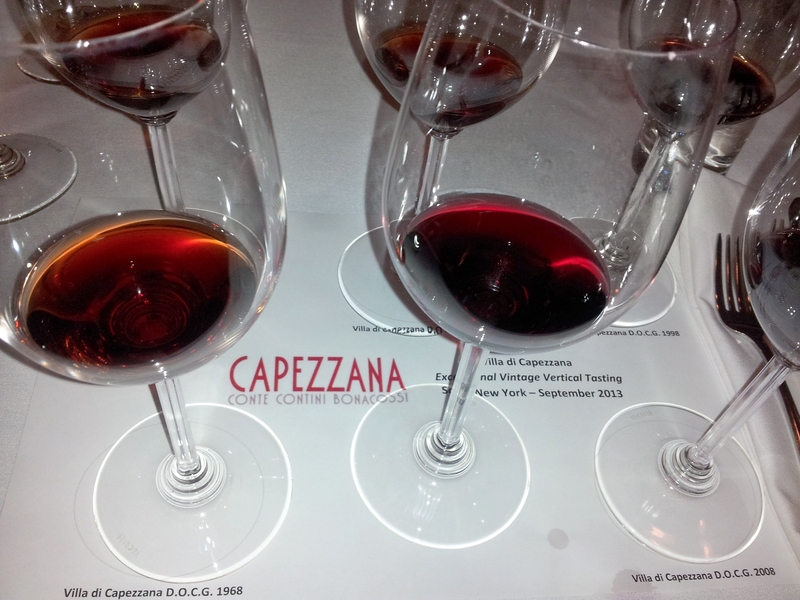 Last week, happening upon a tasting of the wines of Capezzana, visions of a most extraordinary wine luncheon hosted by Countess Beatrice Contini Bonacossi were brought to mind. 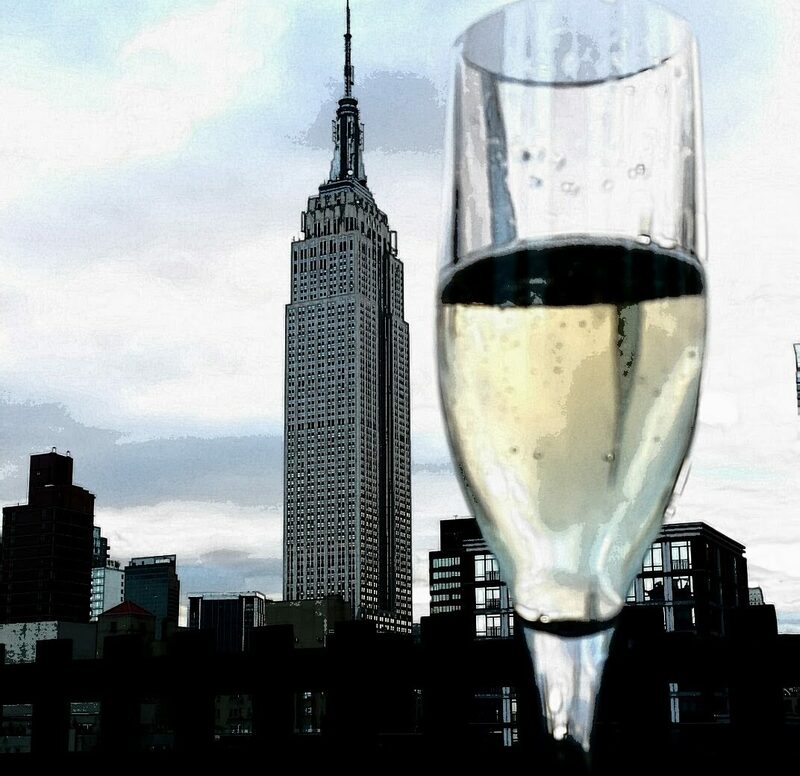 Countess Bea stormed into NYC in September 2013 ready to share the unique story of Capezzana, part of the smallest DOCG in Tuscany, and the oldest appellation in Italy, dating back to 1716! Armed with treats she brought from home ( including farro from her own farm and a yeast starter) she hosted a number of events for press in an artist loft she rented. Chef Paul Lang, who spent time at the estate learning the family recipes, was brought on board to create menus that mirrored a typical meal at Bea’s estate. I was fortunate to attend one of these events that began with a vertical tasting of Villa di Capezzana (Sangiovese, Cabernet blend) and ended with a Vin Santo Riserva, served with Bea’s fresh-baked bread and regional cheeses drizzled with a magical elixir made from Capezzana’s vintage olive oil, herbs and honey. Not your typical press luncheon. The attention to detail, unpretentious warmth and authentic experience made me want to go home and book a week-long stay with Bea and her family! For now I’ll have to be happy to be able to enjoy the fine wines and olive oil made there. Capezzana is situated in northern Tuscany, in the commune of Carmignano in the province of Prato, 20 km from Florence, on the slopes of Monte Albano and close to the Tuscan Apennines. The location describes the uniqueness of its climate, the altitude (approximately 200 m above sea level) is such that daytime temperatures in the summer are high, where nights are cool, due to the winds off the Apennines. Today the Capezzana estate is home to fine wine and olive oil production, an agritourism farmhouse featuring tours and cooking classes, and La Vinsantaia, a wine bar serving Capezzanna’s wines and specialties grown and prepared at the estate. This is a true family affair with Bea as Capezzana’s spokesperson and her three siblings taking the reins in other aspects of the business. 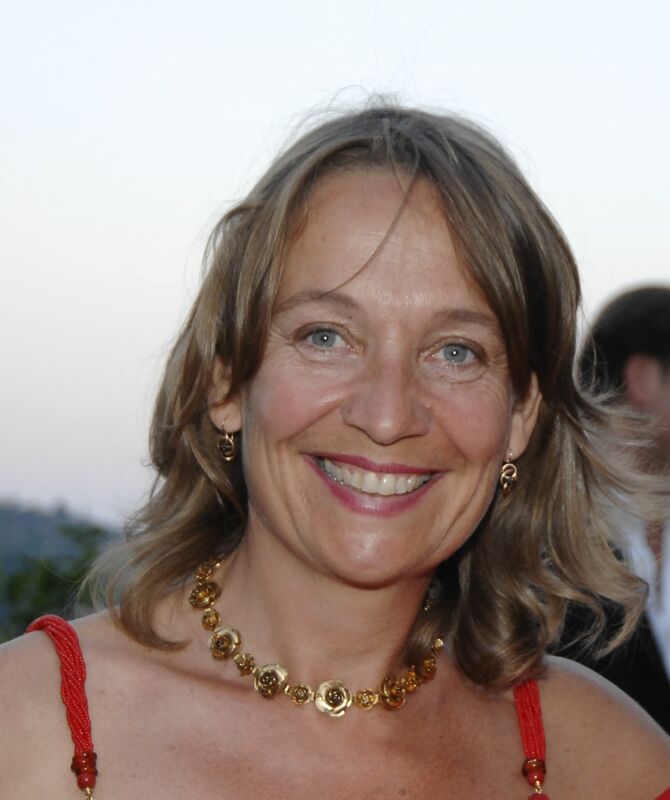 Bea’s sister Benedetta is the winemaker, her brother Vittorio in charge of the vineyards, her brother Filippo handles the company’s olive oil business and the younger generation runs the wine bar. A visit to Capezzana to meet this enterprising family would surely be a dream come true for any food and wine aficionado! Villa di Capezzana D.O.C.G. 2008: Villa di Capezzana is the flagship of the estate. It is composed of 80% Sangiovese and 20% Cabernet Sauvignon. The cellar at Capezzana has vintages dating back to the 20s, I was blow away by how well the older vintages stood the test of time. Fine wine making at its best is certainly in practice here. Vin Santo Riserva D.O.C. 2006: A blend of Trebbiano and San Colombano, this Vin Santo is said to be the favorite of the matriarch of the estate! This rare wine is the perfect ending to any meal! I found myself reaching for more to pair with the lovely cheeses served at the end of our meal. After tasting Chef Paul’s drizzle I had to make my own at home with Capezzana’s olive oil! Enjoy! A magical drizzle for any cheese! Toast slivered almonds in skillet over low heat till slightly golden, remove from heat and allow to cool at room temperature. Blend honey and olive oil in deep bowl with whisk or stick blender till well mixed. 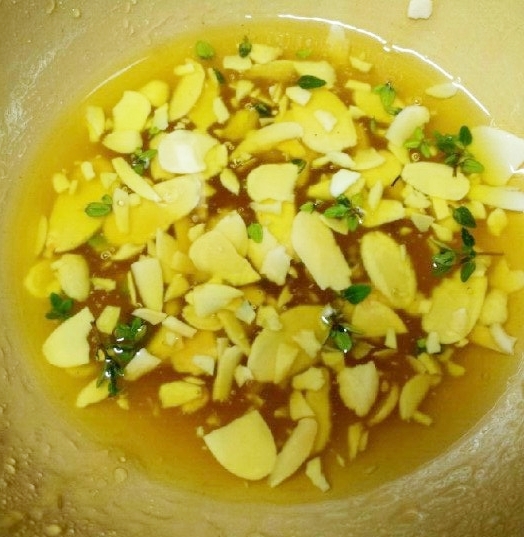 Add almonds and thyme and stir with large spoon till evenly distributed. Serve drilled over cheese or for bread dipping.